Although Stradivari made hundreds of violins, his output of cellos was far smaller and today only about 60 survive. Even so, his impact on cello making was as great as it was on violin making thanks to his famously experimental spirit. As the surviving instruments show, he sought to reduce the cello’s size yet retain its sonic power, and his success in this endeavour has brought us some of the finest cellos in existence. Early Strad cellos were built on a large scale, as was traditional for the late 17th century, their pattern derived from the large Amati cellos. Many have since been cut down, but of the surviving unaltered ones the 1690 ‘Medici’ and 1701 ‘Servais’ have back lengths of 79.2 cm and 78.2 cm respectively. From this point the instruments gradually diminish in size throughout Stradivari’s career, until by the late 1720s and 30s his workshop was producing cellos with back lengths of just 74.5 cm. Where Stradivari really struck gold, however, was in the development of the B-form cello mould. This model emerged around 1710 and produced a back length of around 75.5 cm with a stop length of 40.5 cm. This proved an ideal size: large enough to offer a full and rich sound, but small enough to be manageable for virtuosic music. The smaller size also gives these cellos an ease of response that makes them highly attractive to performers. Among the finest B-form cellos are Rostropovich’s ‘Duport’ of 1711 and the ‘Davidov’ of 1712 played by Jacqueline du Pré and Yo-Yo Ma. 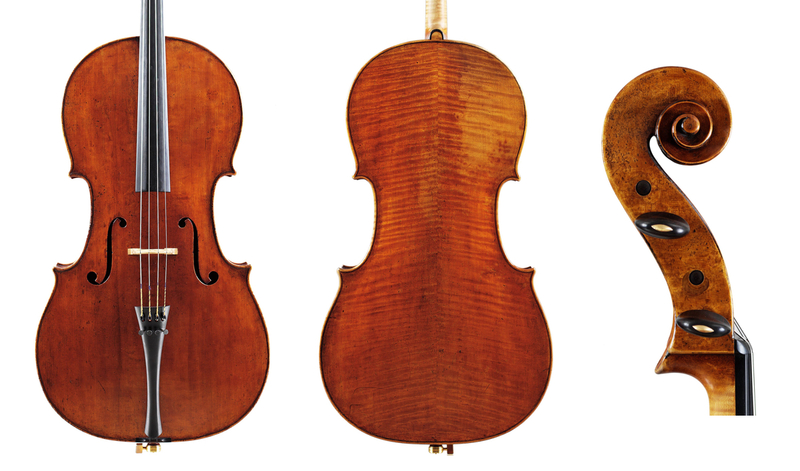 The model was such a success that it was swiftly adopted by the Gaglianos in 18th-century Naples and has been copied by the vast majority of violin makers ever since. Made in 1717, the ‘Amaryllis Fleming’ comes from this sequence of exceptional B-form instruments. When it came to the attention of the Hill violin dealers of London in the late 19th century, they thought it ‘one of the finest examples that had been brought to light’, according to Arthur Hill’s diary. Stradivari used some of his most handsome maple for the back and ribs, which retain much of their original varnish – indeed their spectacularly good condition makes this one of the best-preserved Stradivari instruments in existence. The top and scroll, although not original, were made of fine materials in the mid-18th century by the Spanish luthier José Contreras, whose own instruments are highly prized today. 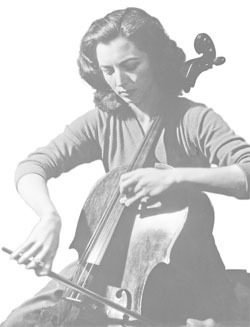 The cello bears the name of its most famous owner, the British cellist Amaryllis Fleming (pictured; 1925–1999), who bought it in the 1950s. Daughter of the artist Augustus John and half-sister of James Bond author Ian Fleming, she was taught by Pierre Fournier and became one of UK’s top-rank cellists, particularly admired for her performances of Bach. A stroke in the 1990s ended her performing career but she continued to teach; her pupils included Raphael Wallfisch.